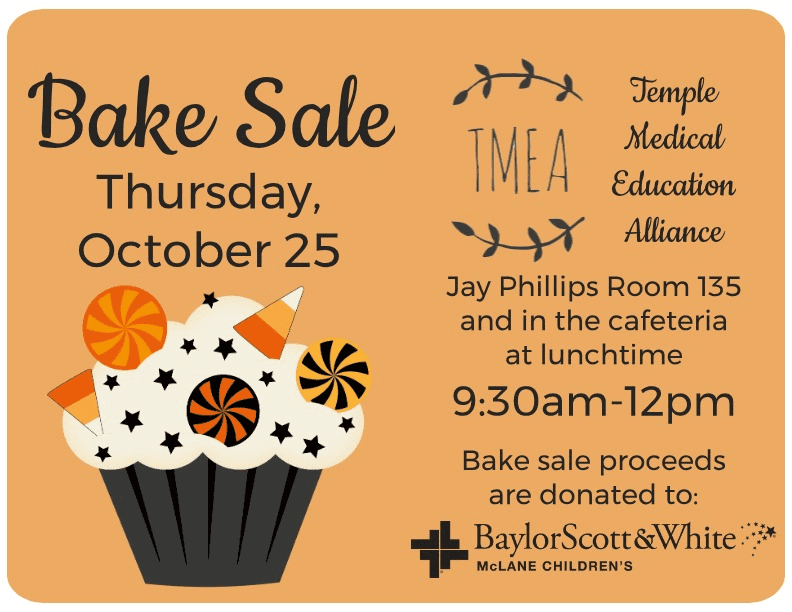 TMEA bakes treats to benefit McLane Children’s! 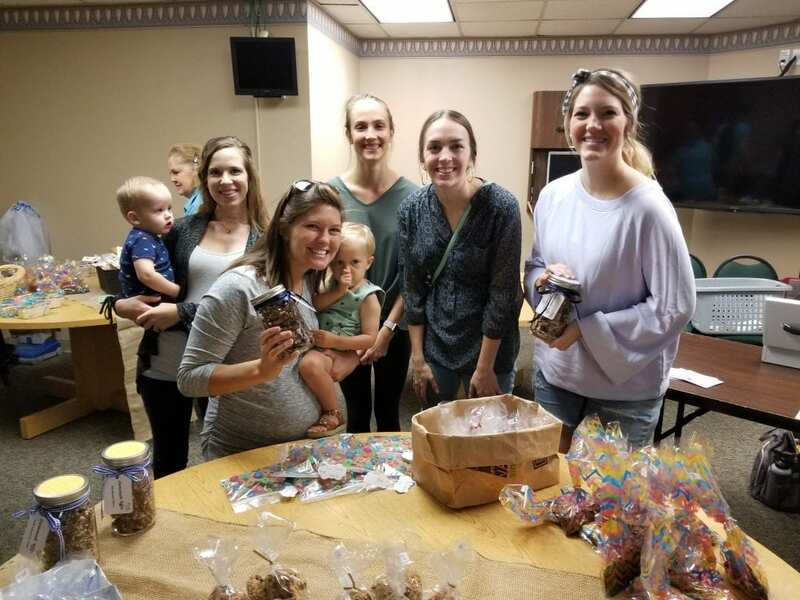 Our TMEA friends have been baking up a batch of happiness for our Medical Center! These amazing folks host several bake sales throughout fall and all proceeds go to benefit McLane Children’s Medical Center. Many of our Temple Medical Education Alliance members are parents and so they understand first-hand the benefits of having a children’s hospital so close by. We are honored to have them as a part of our family and we would encourage everyone to check out their treats! They do a wonderful job with the packaging too, so even if you are on a diet these treats make great gifts for teachers, co-workers, and friends! You can visit them on October 25th at BSW Memorial Campus in the Jay Phillips Room 135 and in the cafeteria at lunchtime. They run the bake sale from 9:30am-12:00pm. Other upcoming sale dates are Nov. 15th, Feb 14th and April 18th! Please come and support McLane Children’s!